Students, students, students! All we ever hear about is students! Clickers are for our benefit too! Student-centric approaches to teaching and learning have been very popular in the literature, and there is much evidence of the efficacy of these approaches. But what about the faculty? The reality is that while “the student-centric approach” has continued to be a buzz phrase, if these approaches are too burdensome, the faculty can (will) not adopt them. For a new spin on the “old” technique, Dr. Hunte-Brown began using clickers for testing. Find out how this method satisfies the desires of the student of today and, as importantly, fits within the needs of the faculty. 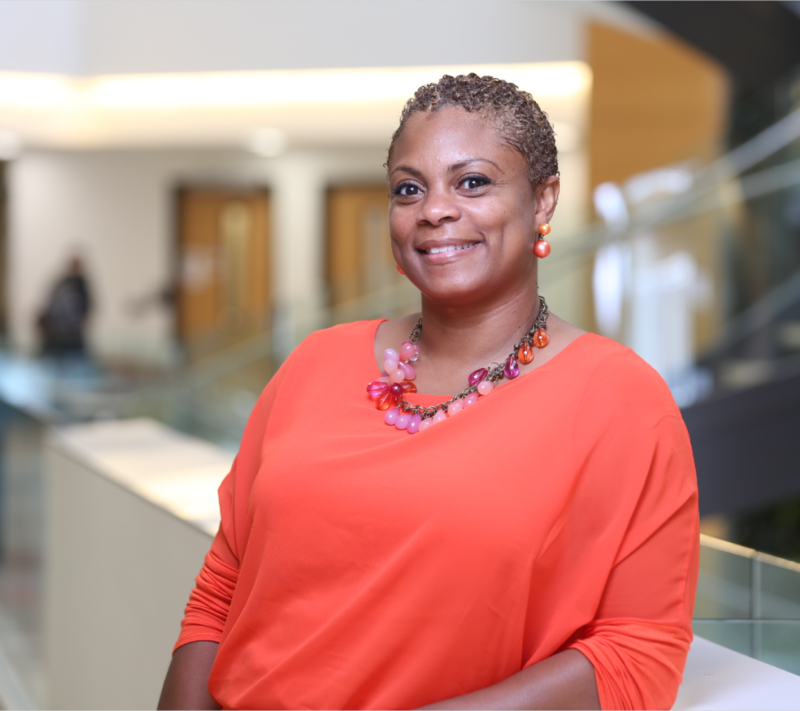 Dr. Meshagae Hunte-Brown is a Full Teaching Professor at Drexel University in the Biology Department. She is a Jamaican national and completed her BSc and MPhil in Jamaica at the University Of The West Indies in Zoology and Freshwater Ecology before coming to the US as an international student to pursue PhD in river food webs at Drexel University. Her doctoral research was conducted in Panama as part of a larger multi-institution project and upon completion she was offered a position at Drexel. Dr. Brown is a member of the Teaching Faculty and her primary responsibility is teaching. This aligns well with her core desires, since at a very early age she knew she needed to be an educator. An offshoot of this passion to teach has recently manifested in other ways as Dr. Brown has started delving into research in the areas of science education and faculty development. She has developed and currently teaches a range of non-major courses in biology and environmental science. She teaches 4 to 5 classes per term in ‘face to face’ and online settings and her class sizes range from 80 to over 600 students, so she employs a variety of evidence based techniques to connect with and capture the attention of her students. She began using clickers for classroom engagement about a decade ago and then pioneered the use of clickers for testing at her school over 5 years ago. Since that time she has mentored several faculty on her campus and others and given talks nationally and internationally on the use of clickers for testing. Her proudest achievement is her family. She is a wife and a mother to 3 young children, whose faces are plastered on her office wall and keep her grounded, focused and in tune with the ‘why’ of what she does.